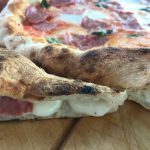 Weekend Bakery wants to offer and share information, tips, techniques, recipes and tools for the ‘professional’ home baker, with an above average interest in the art of artisan bread making. Weekend Bakery points to the fact that a lot of people, like us, concentrate their baking activities around the weekends and holidays. The moments you look forward to, thinking about what recipes to try or which favorite loaves to bake. Weekend Bakery is serious about artisan bread making. We have our own ‘at home micro bakery’. Making bread in small quantities with time and attention will deliver great and rewarding results. So why not try and make your own too? It’s a hobby with great benefits for your mind as well as your body. Making good bread appeals to all your senses. Working with dough can be your own form of meditation. Your body can seriously benefit from the bread you make. So there are lot’s of good reasons to make your own. Maybe you’ve already discovered them. 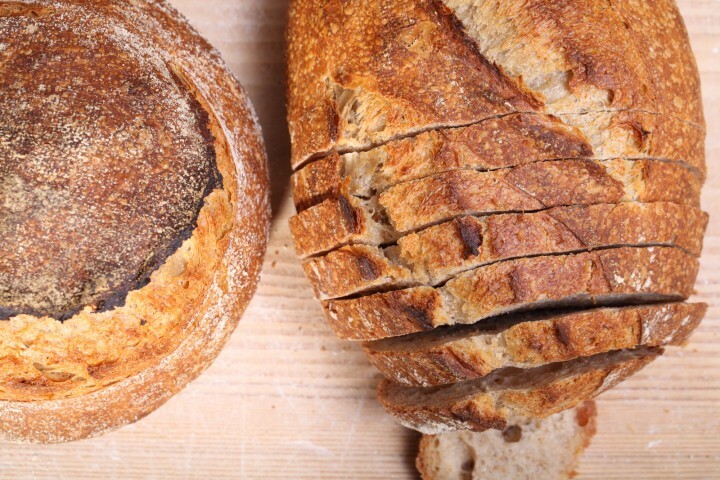 So if you are serious about good bread making, Weekend Bakery is the place for you. Get your hands stuck in a piece of dough and smell the aroma of your own sourdough starter. We are passionate home bakers. 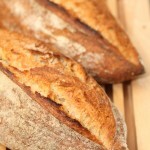 We have been sharing our quest for good food and especially good bread for over 18 years. 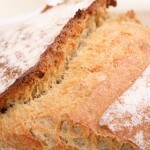 We love sharing our homemade bread and recipes with friends and family and everybody who’s truly interested. We are especially enthusiastic about the ‘artisan’ way of baking. Traditional methods, few ingredients, lots of taste. It’s amazing and rewarding to discover you can make a wonderful bread with just flour, water and salt and a bit of homemade sourdough. 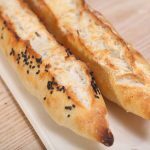 We are proud to offer a range of bread baking tools that are perfect for the home baker and small bakeries. All bread baking tools are made within the European Union and of the highest quality. And there’s some very original sweet baking stuff too. Plus we ship all over the world. Come and take a look and get inspired to bake! There are some items that we have really ‘made our own’ over the years. Next to our “Pain Rustique’ and Pain au Levain’ that has an ever growing enthusiastic following, we have perfected the art of croissant making and baguette baking. We also make traditional Dutch specialties like suikerbrood (sugar loaf) speculaas, cinnamon buns and roggebrood (rye bread). We love making our own pizza and flatbreads. We also make our own marmalade from the Sevilla oranges when in season and like to experiment with chocolate and caramel too and love to roast our own coffee beans. We love to travel. Our favorite destinations are Italy, France, Norway and Canada. Favorite cities: New York, Venice, Amsterdam. Happy baking from Weekend Bakery! Good Evening: I had been a home baker for many years and just came across your website today!!! What a wonderful site! I really enjoy it. I look first in your simple (white bread ) and was amazed with the look. Your explanation is clear and easy to follow, love it. I am originally from Thailand but now live in America. I start selling my homemade breads and even though I do sourdough breads, your simple white loaf intrigued me. I will try to make it and perhaps try to sell it too. I just bought a used Hobart 20 quartz mixer and now hope that I can make more breads for sale. I will look for advice from your site and thank you very much. Thank you so much for your kind comment. What a great adventure you are on! We hope we can be part of your baking journey with our tips and recipes. Let us know how it goes with the sandwich loaf. And best of luck with the bread sales. Hallo, ik heb al een aantal keer jullie croissant recept gemaakt. Ze smaken goed maar ze worden altijd vrij plat. Misschien kun je eens een andere bloem proberen. De bloem die je gebruikt kan bv het deeg wat verzwaren door aanwezige vezels, resulterend in een plattere croissant. Wellicht kun je ook nog eens kijken naar het rijzen, misschien kunnen je croissants toch nog iets langer de tijd krijgen voor het bakken. En het recept over twee ipv drie dagen verdelen is ook een optie. Tevens zou je in jouw geval een versie met iets minder gist kunnen proberen. Beste weekend bakery, met plezier bak ik regelmatig broden van jullie site. Ik heb inmiddels een jaar oud moeder desem in de koelkast waar ik goed voor zorg. Met dat desem bak ik de broden. Ik heb alleen een vraag over de werkwijze. Wanneer ik in de avond een poolish maak om de volgende ochtend een brood te bakken, gebruik ik dan het desem zo koud uit de koelkast, of moet ik dat desem in de ochtend uit de koelkast halen, voeden en dan in de avond de poolish van maken? Dank voor je comment Marcel! Wij adviseren om je desem in de koelkast te bewaren (dat doe je al natuurlijk). Als je het desem gebruikt zoals wij dat in onze recepten doen, dan kun je de kleine hoeveelheid desem direct uit de koelkast in je voordeeg / poolish doen en een nacht laten ontwikkelen. Als je desem langer dan een week in de koelkast heeft gestaan, dan zouden we het van tevoren even verversen en weer actief laten worden, voor het in een voordeeg te gebruiken. Dus hou die periode van langer of korter dan een week aan om te beslissen of je van tevoren eerst wel of niet ververst (wij verversen meestal een dag van tevoren). Afhankelijk van hoeveel desem je uit je potje hebt gehaald om te gebruiken, moet je het daarna ook weer aanvullen natuurlijk. Na het aanvullen moet je het desem eerst weer een dagje laten staan en actief laten worden voordat je het terug in de koelkast plaatst, in afwachting van je volgende bakronde. Hopelijk heb je er wat aan. Fijn bakweekend! FYI I have just shared your lovely website with a bread-making friend of mine. I am currently struggling with “cowpat” sourdough loaves, and found your site via a Google search on the subject. I will doubtless be back here very soon. Thanks for your friendly comment. Great you found us and hope we can offer you some baking support in the shape of recipes and tips and some advice if needed. Do you have a bakery school where you teach people who want to learn on weekends? If you need our help with anything let us know! I am making 80% hydration baguette. After the initial 2 minutes stretching and folding, mine dough still looked shaggy and sticky. I stopped at the 2 minutes. Should i have kept going until it looked more like dough? Also can you at some point freeze these baguettes? I wondered if it could be partially cooked and then frozen. Thanks so much for you help, I love your website. May we ask what flour you are using exactly with what protein content? Hi, what is the measurement for the vanilla in the madeleine recipe ? Is whole wheat pastry flour ok to use? It’s all my store has. You can start by using 1 teaspoon of vanilla and see how you like that. We have not heard of whole wheat pastry flour. The point of pastry flour is to get a light, airy and / or crumbly texture for your cakes and cookies and that is why pastry flour is often the ‘opposite’ of whole wheat. We have never made a whole wheat cake or madeleines with whole wheat, but if you cannot get anything else, you could still try the recipe of course. I just discovered your website today and am excited to use all the instructions for croissants asap. Everything on your site is making me a better baker. I bake for my family often and expect they are going to wonder where I have learned so many new things. Thank you so much for your kind words. So glad we can be part of your baking and learning with the tips and recipes we provide. Let us know how it goes with the croissants! I have found your classic french croissant instructions very helpful. After a number of attempts I now have the correct laminations and croissants that are much nicer than anything we can buy. The key differences I found compared with other recipes were the use of plain flour (not strong), room temperature and minimal handling at the shaping stage. I have found that for reheating from frozen in our domestic oven they take about 20mins from a cold oven or 15 minutes from hot. Rather more than the 8mins in your instructions. This is a brilliant website that is more comprehensive than any other resource I have come across. Thank you so much Simon, for sending us your feedback and taking the time to shower us with kind words. Very glad you had success with the recipe. Thank you for offering many insights to baking quality breads. Can you name a vendor of stone ground, organic flours, that will ship to the United States? We recently got this same question and asked around and we have not found any that we know about that would ship outside of Europe. Of course we do not know everything and we hope you will still be able to find what you are looking for! I wood like to congratulate you both on a marvelous web site. I’m a culinary educator at Bilgi university in Istanbul Turkey…Part of a chefs Life is research made so much easier due to Google, back in my day at Westminster collage we only had books and other chefs to learn and get inspiration from. I would l like to ask your permission. If I could use some information for lectures.. Thank you David, for your kind words. We appreciate you reaching out to us this way. Is there any particular information / recipe you would like to use? My 16 year old grandson followed your detailed 3 day croissant recipe and the results were very very good. If you have a moment perhaps you could help with two questions. 1. When doing the final 110cm roll the dough got soft and W’s sticking to work area. Should we have envelope folded dough and refrigerated at that point. 2. It was challenging keeping the width to the desired size. Any suggestions. Thank you very much for taking the time to provide such detailed instructions. What a great comment to read. Glad you enjoyed your baking together and the results were already excellent. We love to help you getting an even better result next time. 1. We advice the following: Keep very lightly flouring the surface, turning the dough from time to time, lifting the dough, to avoid sticking. When you also notice the dough starts to resist, immediately fold and take it to the fridge for around 20 minutes, then continue. 2.This is both a matter of practice and applying even pressure. To help with this it is a good idea to both flip and turn the dough regularly. 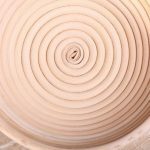 People have the tendency to press harder when rolling away than towards, so rotate the dough to get that even pressure. Thank you also for your kind words and we wish you lots of happy baking moments together, also in the new year(s) to come! I’ve been using your rye based starter for about 2 yrs now. I primarily make various versions of Chad Robertson Tartine bread, often sharing with friends and family. Anyway, your starter approach has been so perfect for me. I will never go back to the wheat flour starter. Thank you so much for sharing all your great work. On down days your site cheers me up even if I can’t bake myself at that moment. Warm regards and happy holidays! Your kind words really warm our hearts on this cold December day. Wishing you a lovely festive season with lots of baking and sharing with family and friends! Sorry for the late reply and thank you for bringen this up. We can tell you that all the pages of both our website and WKB web shop are now HTTPS-based and Fully Secure! Merci pour votre site, mon problème est que je ne suis pas très fort en anglais, but i hope some can help me. 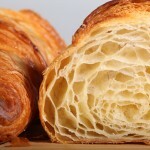 Chaque que je fais mes croissants je me retrouve avec beaucoup de rognures et même si j’en met un peu dans la recette suivante j’ai toujours plus de rognure. y a t il une recette bon marché ou je peux utiliser toutes les rognures pour faire un autre produit? Hello!! I’ve been in Germany and loved the bread they have. Do you have any german bread recipe? We know some things about German baking and love a lot of their classics, but being Dutch, we are no experts on German baking. There are several really good baking blogs but in German. We are sure if you google ‘Best German baking blogs’ you will find a wealth of recipes to choose from. We know some things about German baking and love a lot of their classics, but being Dutch, we are no experts on German baking. There are also several really good baking blogs but mostly in German. We are sure if you google ‘Best German baking blogs’ you will find a wealth of recipes to choose from. Wat ben ik blij dat ik jullie site gevonden heb. Ik probeer sinds een aantal weken mijn eigen desem starter te maken en daarna een desembrood. De starter is inmiddels prima gelukt, maar het brood vergt nog wat oefening. Ik probeer het nu via jullie poolish en dan de pain naturel. Maar wat mij iedere keer opvalt is dat mijn deeg heel stijf is en niet zoals bv te zien is op jullie strech and folt video een beetje slapper. Wat doe ik niet goed? De poolish was vanmorgen om 9 uur dunner dan gisteravond, maar ik zag geen bubbeltjes of dat het iets gestegen was. Maar ik ben toch verder gegaan. Ik zit nu tussen de eerste en tweede folt sessie in, maar ik wilde het toch even vragen. Omdat het tot nu toe bij iedere poging zo is met het deeg, dat het dus stijf en een bol blijft. Alvast hartelijk dank voor jullie reactie en input of tips. Even voor osn om te weten: Hoe kneed je het deeg (mixer/ hand?) en welk meel / bloem gebruik je?